Applicants should meet one of the following Korean language proficiency requirements. Applicants should have the 4th level of certificate from the Korean Proficiency test (TOPIK). 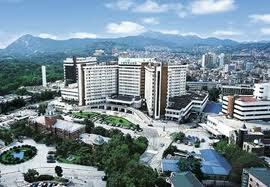 Applicants should have completed at least 1 year of Korean language class at Korean language institutes in Korea. For some departments, applicants should meet English Proficiency requirements. Bank statement showing at least US$10,000 in the account for over 1 month. New student residence hall is ready for students to move in by September 2012. The admission will be revoked if a candidate’s documents are found to be false or counterfeit, or the applicant is revealed to have been admitted improperly. None of the submitted records and documents are returnable, also the application fee is non refundable. Only original Certificate of Graduation and official transcript containing address of the institution will be accepted. Other details regarding application process and review will be determined by the Graduate School Admissions Assessment Committee pursuant to our admissions procedure and regulations. Demikianlah informasi mengenai KGSP Graduate Scholarships, Kyonggi University, Korea semoga berguna bagi anda.